Manchester United’s own Ole Gunnar Solskjaer is slowly but surely becoming a Red Devils’ version of what Zinedine Zidane was for Real Madrid. 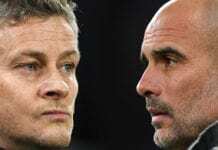 The current caretaker manager’s seat that Ole Gunnar Solskjaer took at Manchester United, has already started to resemble too much to Zinedine Zidane’s spell with Real Madrid when the French manager first arrived in the club as an interim manager himself. The French legend had his very first crack at being close to the first squad when he was Carlo Ancelotti’s assistant manager when Los Blancos conquered ‘La Decima’ back in 2014, ‘Zizou’ did a great job from the sidelines during that season and he was a major part of the squad that eventually conquered the demons that prevented them from winning any continental trophies since 2002 when he was the star of the tournament. After that fortunate year with Los Blancos, the Frenchman decided that he wanted to give a try to be a coach of the Real Madrid youth academy and he took control of Castilla for a short period of time. After Carlo Ancelotti suffered from the first squad during his second season at the club, president Florentino Perez decided to give Rafael Benitez a chance and let Zidane marinate his skills for a little more time with the young squad from the academy. 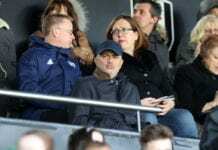 However, things didn’t work as Rafa expected at all, the Spanish manager immediately had personal problems with several of the players and he wasn’t able to take the squad to victory during his first semester at the club (sounds familiar?). Not even half a season had gone when the club’s board of directors decided to give Benitez the boot, the club made the apparently rash decision to give Zidane a chance to finish the year as the caretaker manager and see how things worked for the squad. Leaving the Frenchman as the boss for that specific season was perhaps the single best decision that Florentino Perez ever made as a president, for ‘Zizou’ ended up winning the next three consecutive Champions League trophies with Los Blancos and became the only manager in football history to accomplish this massive feat. We know it’s too soon for Ole Gunnar Solskjaer to be compared with Zidane at this point of the season, but the Norwegian boss has too many striking similarities with the Frenchman to ignore. Both men are foreigners who became symbols of their respective clubs, both men scored a goal that signified a Champions League title for their institutions. Both managers started their managerial careers in their beloved club’s youth academies, both of them arrived to put out a fire that the previous manager left blazing and managed to get things back to normal quickly. 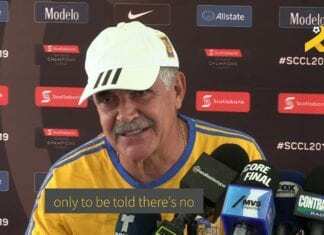 Both managers are very well-respected amongst the players, both managers have a very calmed demeanor about them and know exactly what to say in front of the press without making a scene. Both managers seem very relaxed when they talk, but know exactly when to get serious when necessary and when the moment demands it. Both men are being criticized for having luck instead of a defined football philosophy, and yet they both have attacking squads that score many goals. Despite only having 9 matches under his sleeve as the Manchester United manager, we have a feeling that Ole Gunnar Solskjaer will do very well as the Red Devils’ coach, just like we did when Zinedine Zidane first arrived at Real Madrid and ended up winning several major trophies in the span of three seasons. 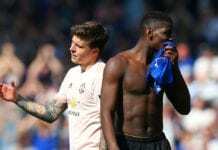 The similarities are too many to pass, we certainly hope that we are not wrong and Manchester United goes on to keep playing beautiful football as they have done since Ole arrived. 🙌💫 From the sleep-inducing football under Jose Mourinho to rip-roaring displays under Ole Gunnar Solskjaer, it’s been a fascinating 5 weeks at Man Utd. Which other similarities between Solskjaer and Zidane have you found and would like to share with the rest of the readers? Please give us your opinion in the comment section down below.